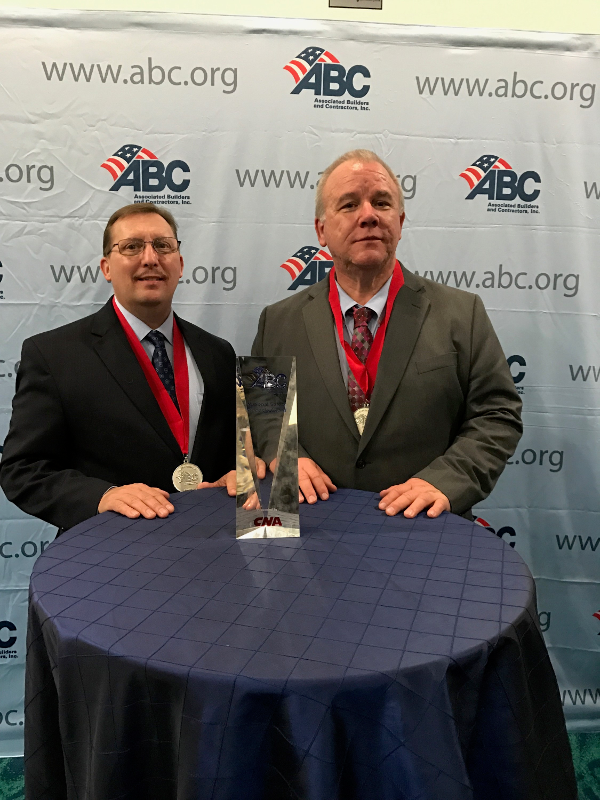 WASHINGTON, D.C. – Associated Builders and Contractors (ABC) awarded Three Rivers Corporation, Midland, Michigan, with their National Safety Pinnacle Award, the organization’s most prestigious safety award. Representatives from Three Rivers were on-hand during ABC’s 27th Annual Excellence in Construction awards banquet on Wednesday, March 1, 2017, in Fort Lauderdale, Florida, to receive the award. As the recipient of ABC’s National Safety Excellence Award for 2014 and 2015, Three Rivers Corporation automatically qualified to compete for the Pinnacle Award. During the selection process, national safety winners in each category were judged on key areas, which included their continued commitment to jobsite safety, safety performance, and safety programs. In addition, members of ABC’s National Environment, Health & Safety Committee conducted interviews with the company president and safety director. Three Rivers Corporation drives a safety-focused culture throughout the organization, and continues to invest in employee training programs to ensure each team member makes it home in the same condition as they arrived. Three Rivers Corporation is the first company in the State of Michigan to receive the Pinnacle Award. “This is an honor to receive an award like this, we are proud of our work force and their dedication to safety.” said Paul Crivac, Safety Director at Three Rivers Corporation.